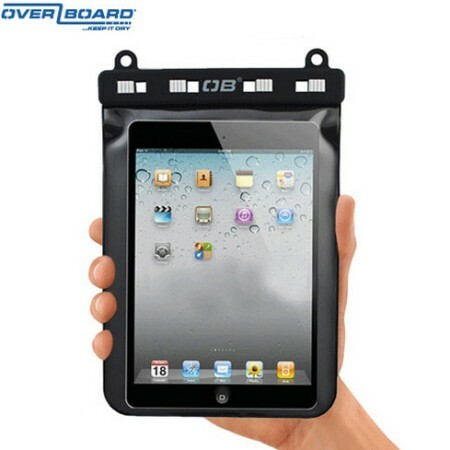 Are Looking for a way to take underwater photos using your iPad Mini or use it in rain?,then this water proof case from Overboard is what you need. There are many elegant and well designed iPad mini cases available to buy that provide basic protection from scratches and drops but this case completely protects your iPad mini from dust and water. The case is fully transparent at the front and the back allowing you to use your iPad mini as you would regularly do and you can also carry the iPad mini with you while swimming since the Case is fully waterproof up to 5 metres in depth.